This low-wattage tube terror will elevate your studio and practice performances. 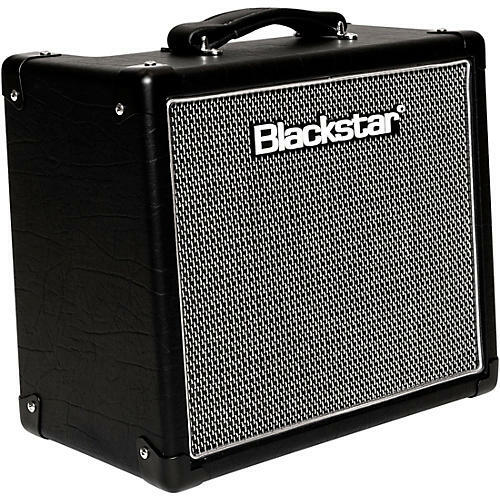 The Blackstar HT-1R MkII is the perfect studio and practice amp, packed with great valve tone and new innovative features. It has been developed to sound full and toneful even at the lowest volume level. In addition to the re-voiced Clean & Overdrive channels, the new HT-1R MkII features USB audio output, studio-quality reverb, and refined cosmetics. Adding the features that guitarists have requested, plus stunning new boutique cosmetics, the new HT-1R MkII redefines the compact valve amp. Using their push-pull valve power amp design, you get all the dynamics and response of a 100W stack from a small combo amp. The HT-1R MkII features Blackstar's best clean and overdrive tones to date and each channel is now equipped with a footswitchable voice mode, allowing for even more tonal flexibility. Joining Blackstar’s patented ISF tone control is a USB audio output for easy pro recording and a newly voiced studio quality reverb.